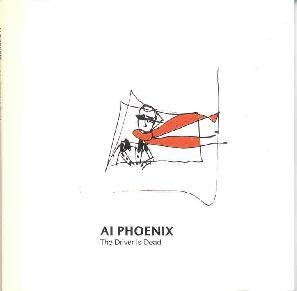 Ai Phoenix - "The Driver Is Dead"
The second full length from this Norwegian quintet is a lovely, sleepy piece of melancholy indie pop. As I was listening the first time I actually noted that the third track, “Snow and Light”, was a bit more upbeat and kinda reminded me of the group Portishead a bit. Then I sat back and thought how ridiculous “upbeat” and “Portishead” would sound in the same sentence. But it’s true, and it tells you a bit about the range we have here - this is really ethereal melancholy stuff. You can practically see the icy snow covered mountain tops while it plays, I swear. The songs structures are simple but very effecting, the songwriting is ace and vocalist Mona Mørk's beautifully narcotic vocals leave you feeling as if she is in the room with you, whispering gently in your ear. Fans of Hope Sandoval or early Low, or those who get that euphoric charge from sad and brooding music (you know who you are, or at least I know I am!) will be unable to remove this from their CD player for weeks. One minor gripe, a sequencing issue if you will - the bonus track at the end, from an earlier 10”, should NOT have gone at the end - the last three songs were the perfect sendoff, and it was just wrong to put it there. Yeah I know, it’s a minor gripe, I said so right? For more information you can visit the Autonomy Recordings web site at: http://www.autonomyrec.org. Contact via snail mail c/o Autonomy Recordings; PO Box 645; Sausalito, CA 94966.